As humans, we understand that good posture provides stability and balance. We instinctively understand that the integrity of our back and spine is directly affected by the muscular and skeletal balance of appropriate posture. As it is with us, so it is with our animals. Posture affects and moderates everything from breathing to digestion. 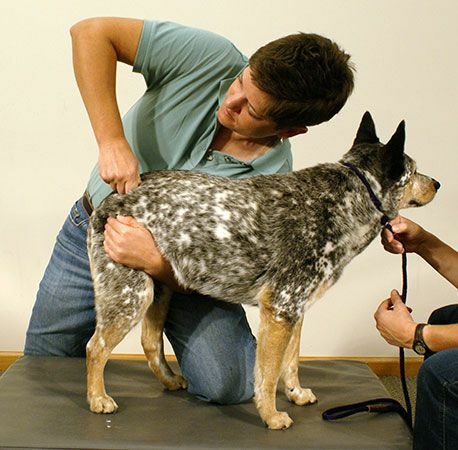 Abnormal posture is evident in animals with pain-related conditions including backache and stress-related illnesses. Horses have the ability to relax in the standing position with little fatigue due to the ‘Stay Apparatus’, which consists of a series of muscles and ligaments that can ‘lock’ the main joints into position. When fully engaged, this Stay Apparatus provides a comfortable stance with vertical loading providing balance and flexibility. A huge warning sign is when your horse adopts a forward posture. This posture is generally a compensatory stance to unload the hind hoof. Often this is a result of hoof deformation which leads to increased pain and the resulting forward leaning stance. As a result, the horse may adopt an altered gait and become reluctant to stride downhill. When considering and maintaining the health of your animal, remember to take into account the importance of posture.